Saint Gabriel is mentioned throughout many religious faiths as one of the archangels of God, including Christianity, Judaism, and Islam. In the Bible, he is listed in both the Old and New Testaments as a powerful angel with many responsibilities all of which he fulfilled for God. 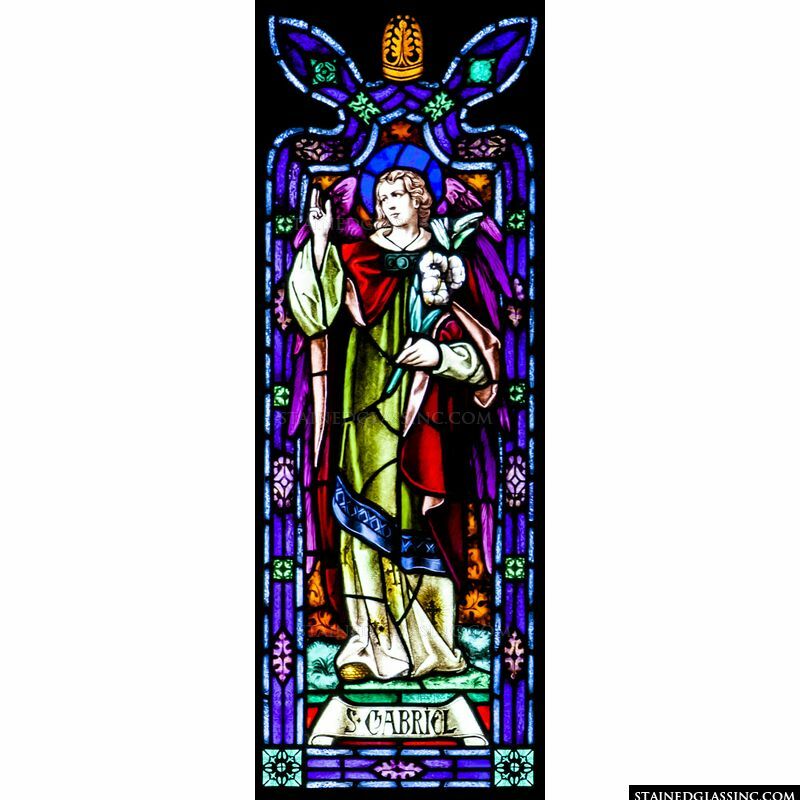 Our stained glass artists have created a spiritually inspiring stained glass design of him with this panel that can be used on its own or as a series of stained glass windows dedicated to the archangels.